On April 28-29, 2017 Elena M. Efimova – NAA’s Deputy Director – took part in Central and Eastern European Network of Quality Assurance – CEENQA annual meeting in Zagreb (Croatia). 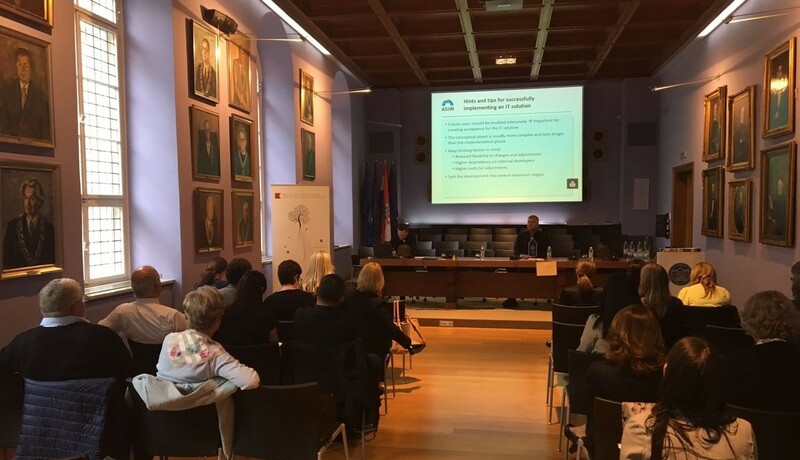 The event was hosted by the Agency for Science and Higher Education (ASHE) Croatia, Zagreb. About fifty participants from Europe took part in the two-day meeting. The issues related to the higher education quality enhancement were at the heart of the discussion. Dr. Iring Wasser, President of CEENQA, Managing Director of ASIIN (Germany), Ms. Vesna Dodiković-Jurković, Ph.D., Deputy Director of ASHE (Croatia), Professor Damir Boras, Rector of University of Zagreb (Croatia) welcomed the participants. CEENQA is the oldest organization for quality assurance of HE in Europe. The organization was established in 2001. Now it counts 29 member organizations from 20 countries of Central and Eastern Europe, which cooperate in the development and harmonization of quality assurance activities, thus contributing to the development of the European Higher Education Area.